Runcorn Linnets FC are the fifth new club to join the Northern Premier League Football Academy this year in preparation for a September 2019 start. 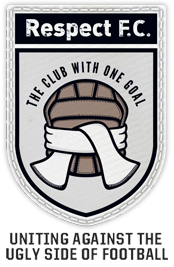 The newly-promoted EVO-STIK League outfit feel it's the right time and next step to try to host such an initiative with the league's Concept and Development Football Programme being the perfect vehicle. Linnets' recently-appointed chairman, Mike Bignall said: "Runcorn has always been a football town and we have some great schools with fantastic sporting backgrounds. Being able to offer a Further Education pathway to local students as well as members of our junior teams is amazing for both us and our town. � "The students can also progress on to a degree course which again is providing our youngsters with a fantastic opportunity." Mike added: "It's not just the Level 3 course on offer but also a level 2 course. "We are excited to see if we can complete the next stage of our infrastructure." The Runcorn Linnets FC Academy is a full-time course as an alternative to college. Students will study for a BTEC in Sport Level 3 (Diploma and Extended Diploma available, which is the equivalent to two/three A Levels) or an NVQ Level 2 in Sport for those students who haven't obtained the GCSE grades to qualify for the BTEC. The course will be delivered by a tutor in the mornings with a UEFA qualified coach conducting afternoon football training for the students. The coach will also manage a Runcorn Linnets Academy team on Wednesday afternoons against NPLFA sides from fellow EVO-STIK League clubs such as Leek Town, Belper Town, Micklover Sports and Witton Albion. The Northern Premier League is the official name of what is through sponsorship known as the EVO-STIK League. All NPLFA games take place at the main grounds of all clubs involved and are filmed for analysis with a weekly highlights show being broadcast every Friday on www.youtube.com/NPLFA. The NPL Football Academy has been a huge success on and off the pitch. More than 600 students have enrolled in total since its launch. Many have progressed to university, scholarships in the US, the NPLFA's own sports degree course or employment. As of May 2018, almost 50 players have progressed to their respective first teams with four students entering the professional game. An NPLFA spokesperson said: "We are thrilled Runcorn Linnets have joined. We have enrolled five new clubs for the 2019-2020 season and we have one club left to enrol (which will be announced shortly) and this will complete our intake of clubs. "The recent demand has been staggering but shows we are trying to set up, run and develop a programme at all our clubs in the right way. "The Linnets have a real commitment to developing youth which should encourage local youngsters to join the programme. "From a club's point of view, it costs nothing either financially or in time to see if we can establish such a programme at their football club. As with every club, we will be working hard to try and create a successful programme." By being a part of Runcorn Linnets FC, there are genuine pathways to play for the first team and with the football programme being held Monday to Friday, students will still be able to play for their local junior sides at the weekend. There is a maximum of twenty places available for the Runcorn Linnets Academy with trials to be arranged in October 2018, December 2018, February 2019, April 2019 and May 2019.